Cooking is no longer about good knife and a set of pans. Like in any other field, technology is changing the face of kitchen too. Are you looking to make your cooking a little faster, or are you tired with old pans and pots…..check this post out. You will for sure find something of interest for your kitchen too. 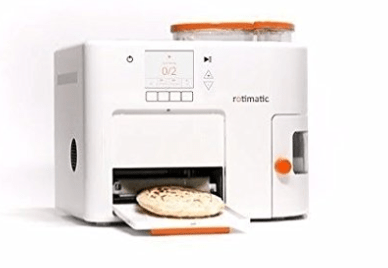 This is one tool which every household would love to have – automatic roti maker. This one measures, mixes, kneads, flattens, cooks, puffs and serves you hot rotis….just like that. It can be used to make any kind of flat bread. The good news is you can buy it from amazon.in. You can start cooking even if you are at work. WeMo technology makes it possible to control your cook pot from anywhere. 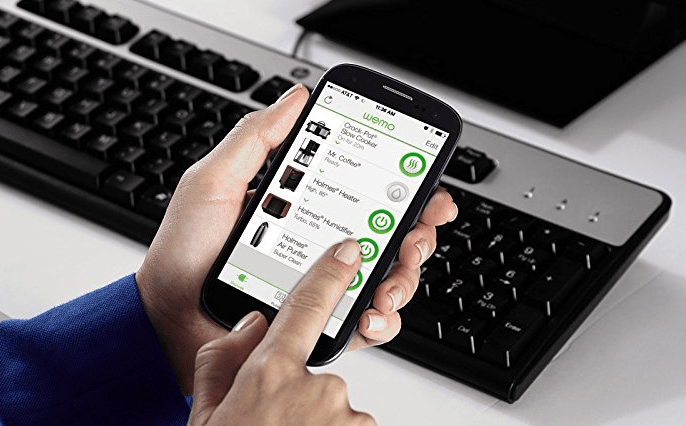 WeMo uses wifi or mobile network to control home electronics from phone. The app provides options to monitor cooking time, allows to change cooking temperature, adjust cook-time up or down, shift to warm setting or even turn off the slow Cooker. This pot can be managed without the app as well. This is a magic mug or Heat sensitive mug. The paint coated over this mug is heat sensitive, so when something hot is poured into the cup, it changes its color and once temperature drops, it gets back to its old looks. This happens due to Thermochromism. Thermochromism is the property of certain materials to change their own color in response to a change in temperature. 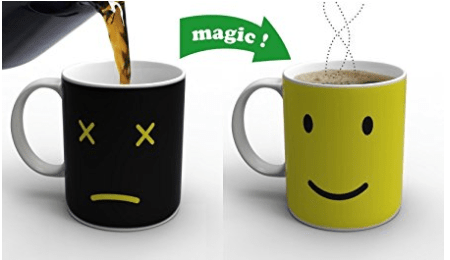 So go ahead and get your magic mug and surprise your guests or get one for yourself. Now even mugs are available wherein you could insert your family picture. Image will appear only when you add hot coffee, tea or water. Air fryer is in the market for some time. Just thought of adding it to this list as it gives an option for people to eat crisps and chips without guilt. With air fryer one can get nice food with crisp exterior and moist interior and that also without the need of too much oil. 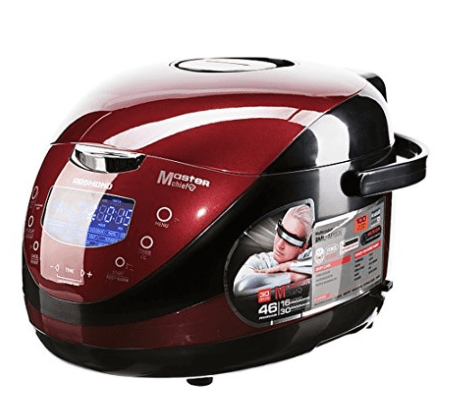 In air fryer basically hot air circulates all around the food and cooks it from inside. You can cook food at a fraction of time in comparison to oven. Are you a health freak or are you in the process of getting fit and healthy. Then you must get this nutrition scale for sure. 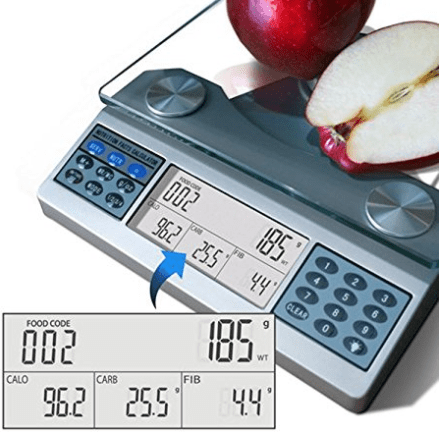 In addition to providing details on calories, carbohydrate, protein and fat content it also provides details on sodium, potassium, calcium, magnesium and vitamin K. Place your food on the balance, enter the food code (based on codes provided in the manual) and that’s it….the scale will give you nutrient information based on product weight. It can replace a stove, an oven, a fryer, a yogurt maker, a bread maker and a steamer. You can cook main dishes, side dishes, soups and porridges. It can help you in saving lot of your kitchen space. Temperature can be set between 40 10 160 degree C. It can be programmed for 12 minutes to 12 hours. It provides 3D heating. 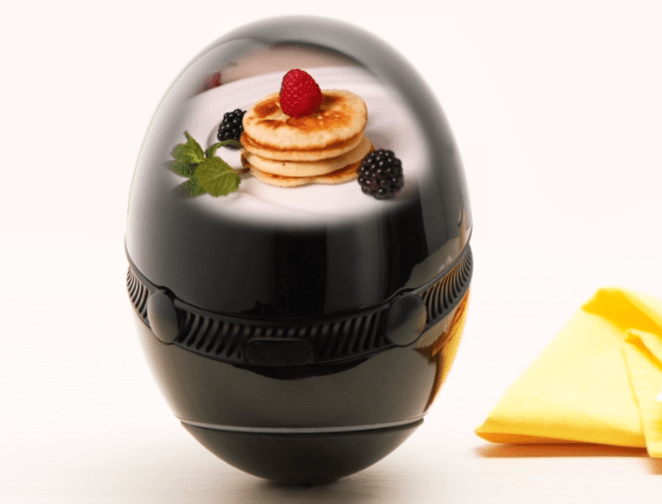 It can even heat up preecooked food and can keep food warm for 24 hours. Wouldn’t it be wonderful if you could peel up to 1kg of potatoes in just 5 minutes. This electric peeler does this work for you, leaving you with perfectly peeled potatoes, ready to be made into delicious dishes. 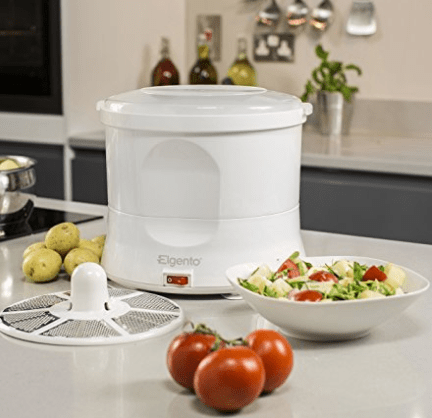 The peeler can also be used as a salad spinner with the included salad spinning tray drying your salad leaves in seconds. 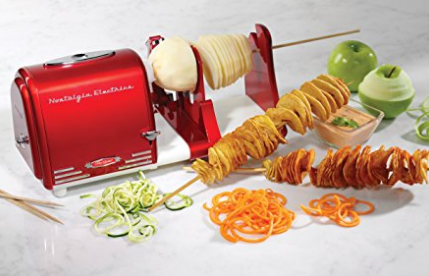 The ’50s-Style Electric Spiral Twister & Peeler comes with three cutting blades that work great on a variety of vegetables and fruit. You can enjoy potatoes, apples, zucchini, in peeled, spiraled and shredded form. Chopping herbs can some time be tiresome. 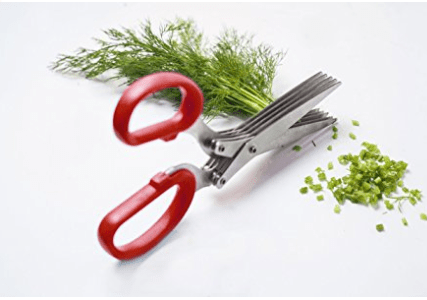 No longer if you buy this multi blade herb scissors. This scissor instead of two has 10 stainless steel blades. So which among these 10 is your favorite……. 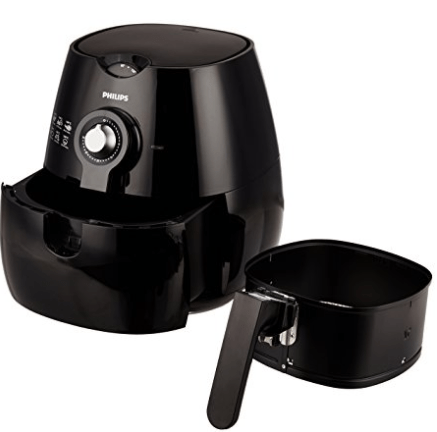 The air-fryer is just perfect..Eat healthy yummy food, while using less oil at the same time.